Damn, am I having fun! When I took on this exploration of New Jersey, I was so looking forward to eating some great food and having interesting conversations with the creators of that food. Whether in backyards, at festivals, or in restaurants, I wanted to taste each cook’s interpretation of barbeque and hear the influences, thought processes and struggles that went into that creation. As I have said before, I have discovered that New Jersey barbeque really is influenced by the culture and history of the cook, making it extremely complex and worldly. Although different from my own interpretation, is allows a new discovery from every neighborhood and increases the anticipation of a totally different interpretation just a neighborhood away. Many a cook are accompanied by the ghost of their mother or grandfather, ready to give them an ethereal slap in the head if they stray from the time honored recipe that had been handed down from generation to generation. It connects us to our family and allows us to disregard the modern-day technological terrors that we have surrounded ourselves with to cook our meat. But let us not forget one of the strongest influences that have allowed barbeque to diversify and become increasingly popular…making it how we like it. Such an easy, yet beautiful concept. But also relatively rare when talking to many chefs. 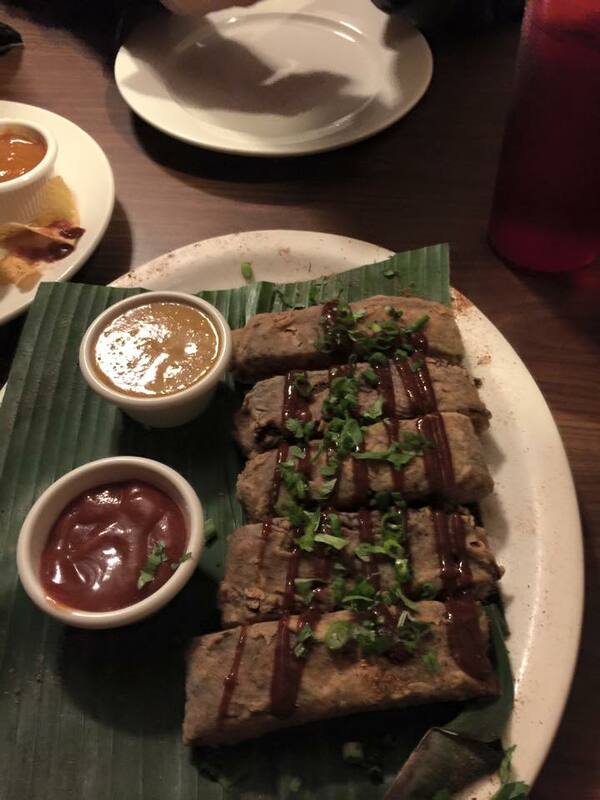 So when Boy McBoy and I found a few spare hours from our hectic lives to go out and pay a visit to Michael Johnston and his Grub Hut in Manville, we were able to sample some southwest Mexican barbeque fusion dishes that came into being simply because that is what he liked. As as would have it, we did too! All of us can think of at least one moment in our lives that turned us on our heels, making us divert from the intended path and never look back. For Mike, it was on a trip to a chef’s convention in California over ten years ago. I can only imagine the months of anticipation, looking forward to seeing the latest in cooking techniques and demonstrations from the renowned cuisiniers of the time. A young chef in a candy store (surely they would have that too). And it would have been if he hadn’t met Javier, the owner of a local food truck that specialized in Mexican food, and formed a friendship that would make Mike play hookie and hang with him cooking and learning about Mexican food. Mike would bring that experience back to New Jersey and open up a restaurant that sought to fuse the two foods that he loved the most: barbeque and Mexican. The Grub Hut is his ten year old baby, and like a pre-teen, it is whimsical and fun, and deliciously honest in its willingness to try ways to blend the two joys, while at the same time, honoring both types of food. As you travel down North Main Street, you can’t miss the red neon sign, Don’t be discouraged if you look in and don’t see an open table, as there is another small room in the back, and, in the summer, seating out front. I took advantage of the warm night (finally!) and popped open a beer (the place is BYOB 🙂 ) on one of the outside tables while waiting for Boy and smelled the aromas coming out the front door. Manville has an ordinance that prohibits wood fueled smokers, so the Grub Hut utilizes a gas smoker that moonlights with hickory and sassafras. Eaters that come in looking for the fine smell of burning wood and smoke rings will be a little disappointed, but the difference is made up by the same distinctive tenderness and the varieties of sauces available. The smoker has a spot of prominence right near the dining room, and Mike positions himself right in front of it, checking every plate of food that goes out and ever ready to come to each table to greet the customers and talk about the specials for the night. This also gave us the opportunity to introduce ourselves and share our intention of trying every type of barbeque that he could offer. Sides need not apply! We even asked Adrienne, our server, to take away the chips and salsa. Looking at the table next to us, we could see couples enjoying pizzas and Mexican, but tonight, for us, it was all about the meat. And Mike delivered, hooking us up with a some of his specialty appetizers and a platter full of smoked chicken, pork, and beef. What’s the only thing better than ribs? Why, that would be… fried ribs! These sirens called to us from the appetizer menu and offered us an unique opportunity to try something that we had never had before, and fell under what Boy called, “Fun things to do with slow cooked meat.” For those eager to hear the rest of Boy’s list, you’ll just have to wait for a future post (way, way, way in the future). On the outside, the ribs don’t look like anything special, almost like large french toast sticks, but the taste and the tenderness definitely benefit from the frying process. The crunchiness of the crust gives way to a super tender rib and is accented by the house barbeque sauce drizzled on top. Yea, we pretty much cleaned those things to the bone. While you are on the appetizer menu, check out Mike’s brisket empanadas, a dish that epitomizes what he is doing at the restaurant. The juice of slow cooked shredded brisket soaks into empanada crust and is a tasty take on a food that was originally designed to be portable and convenient. If I was at a fair or carnival, I would be walking around with a brown paper bag full of these things. You can find some Grub Hut satellites at the Bridgewater Commons and at Somerset Patriots stadium, so if you can, grab a bag full there while your lady fills up with shopping bags. 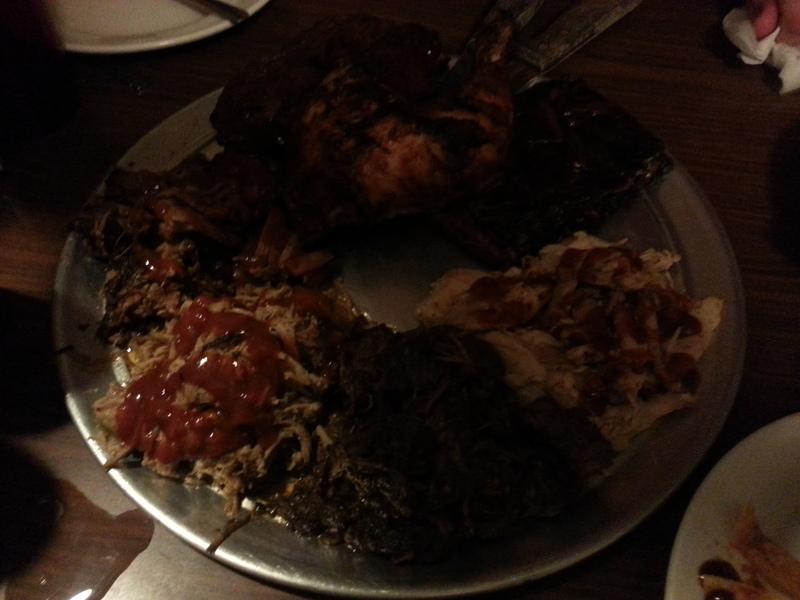 For the main course, Mike brought over a platter heavily laden with piles of meat: pulled chicken, pulled pork, shredded brisket, baby back ribs, spare ribs, carnitas, and sassafras chicken. I’m not sure if such a thing of beauty is on the menu, but it should be, and it was exactly what Boy and I had pictured when a competition buddy of our recommended the place. He had specifically told us that we need to try the carnitas, a Mexican pulled pork dish with a load of spices, and it was definitely awesome. I came away thinking about how I might be able to try to recreate it at my own house for pork tacos with vinegar soaked cabbage or on nachos. Both of us were also taken with the spare ribs. Good amounts of meat with competition-quality tenderness, meaning that the entire rib did not pull away with the bite, but rather came away easily with only the shape of the teeth. But for me, my favorite was the sassafras chicken, a leg quarter that is smoked over sassafras wood, an aromatic tree that is not often used for smoking. The wood gave the chicken a taste a very distinctive taste. Even with so many different choice of meats, I think that next time I come back, I need to get that one again. And with all of the choices available, you could still go even further with the original sauces that the Hut has available. 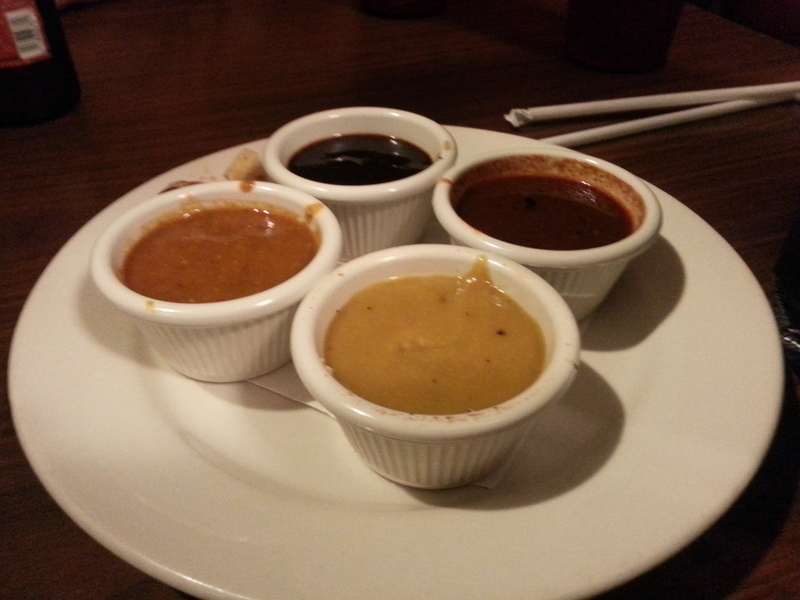 Between the bourbon sauce (table favorite), salsa, Carolina mustard, vinegar mop sauce, and house barbeque, you can experiment with tastes and find a few favorites. 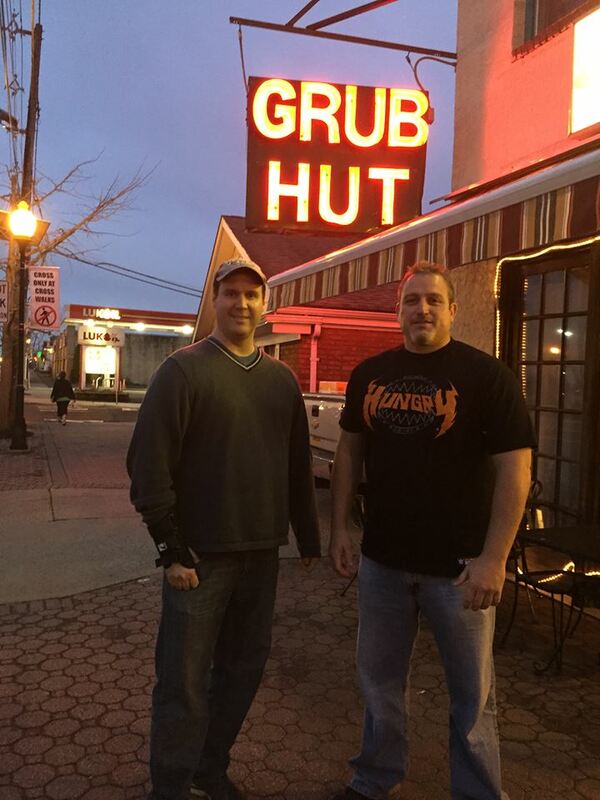 So if you are planning your own New Jersey barbeque walkabout, or want everyone in the family to find something that they like while you partake in the BBQ, include the Grub Hut in your travels. Bring a bottle of wine or some beer (still want to do a post on pairing wine and beer with bbq), talk with Mike, and enjoy the food and atmosphere. When you have a chef that loves to eat what they cook, chances are that you find new things to eat every time. ← Break out that calendar and get ready to eat! My mouth is watering just reading your critique. I want in on your next adventure !